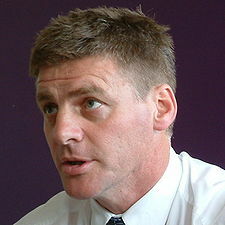 Here is a summary as the Finance Minister, Bill English, reads today’s budget. From the 2011 / 2012 income year, the company tax rate will reduce to 28% – along with the tax rates for PIEs and most other savings vehicles. This reduction in the company tax rate wasn’t widely expected – and it does make New Zealand competitive with Australia, who will also lower their company tax rate to 28%, but with a phase in starting in two years. The Prime Misinster John Key tells us those earning more than $55,000pa will now pay less tax in New Zealand than they would in Australia. The trust tax rate will remain at 33% – which will now be aligned with the top personal rate removing the incentive to create complex structures to avoid the top tax rate. The alignment of the top personal tax rates and trust rate with the company rate as speculated before the budget was in my opinion rightfully not a priority. After all, the company tax rate is not a “final tax rate” in that shareholders must still get their cash out of the company when they want to get their hands on it personally – and this means that any tax paid by the company must typically be topped up to the personal or trust rate anyway. From 1 October 2010 GST will – as widely expected – increase to 15%. The Minister of Finance, Bill English, tells us that at all income levels, the benefit from lower taxes will more than offset the increase in GST. I don’t think this will be true in all cases, as those eligible for “working for families” tax credits sometimes pay absolutely no tax right now – so the benefit to those people from tax reductions must be nil. I think the big losers here will be retailers, who will need to manage another drag on demand caused by the increase in GST at a time when consumer spending is at best experiencing the beginnings of a sporadic recovery. The general thrust of the thinking behind this budget is to encourage a reduction in consumption and an increase in savings. Retailers will inevitably be affected by this. The ability to depreciate buildings with an expected useful life of 50 years or more will be eliminated from the 2011 / 2012 income year. Although according to a recent KPMG report, 60% to 70% of building depreciation claimed in New Zealand relates to non-residential property. The current 20% depreciation loading on new plant and equipment will be removed for assets purchased after today. So if you’re looking to buy a new car, rush out and do it now! I wonder if we will see a surge in backdated LMVD motor vehicle sale and purchase agreements entered into over the next week or so – all mysteriously dated 20 May so the higher rate of depreciation can be claimed? The intention here is to encourage purchase of assets on the basis that the investment stacks up rather than based on some advantageous tax treatment. From 1 April 2011, all QCs will now be treated in the same way as limited partnerships – which means that profits and losses will flow through to shareholders in proportion to their shareholding. Where a QC makes a profit, that profit will be taxed at the shareholder’s marginal tax rate (up to 33%) rather than at the new company rate of 28%. We will need to revisit the logic for remaining in the QC regime for those clients who operate profit making businesses through QCs. However, the incentive was already strong to drop out of the QC regime once an LAQC starts making a profit because shareholders have always been required to personally guarantee the income tax obligations of a QC. The much anticipated ringfencing of LAQC losses generated by property investment is no-where to be seen in the budget. But the IRD have also released a policy discussion document today (available here >>> as a pdf) which proposes a limitation on the losses that will be able to be claimed by a shareholder in a QC to the value of that person’s investment in the QC. However this would include the share of any debt guaranteed by the shareholder, so the practical impact for most loss making QCs will probably be minimal. From 1 April 2011, people will no longer be able to use investment losses (eg from rental properties etc) to reduce their income and become eligible for Working for Families. This seems reasonable. IRD will get “a significant funding boost” to increase its audit activity around debt collection, the black economy and property transactions. Dare I say it: “more work for accountants as their clients have an increased chance of being audited”? As indicated over the past few weeks, this does seem to be a budget focussed on encouraging saving, increasing productivity – and removing some of the incentives for investing in property over more productive assets. The Minister of Finance stated in his delivery speech today that “investments should stand on their own merits and not be unduly influenced by tax”. There will be a spike in inflation as a result of the GST increase – in fact Treasury are now forecasting the CPI will jump to 5.9% in the first quarter of 2011. But no doubt this spike will work through the system quickly. There is certainly nothing too scary for property investors. The depreciation changes were widely expected – and of course the lower personal tax rates will over time reduce the cash benefit from tax losses produced by highly geared property investment. But there is no significant change to the use of LAQCs – nor any of the feared ringfencing of rental losses which may have prevented offsetting those losses against other income. There is still no restriction on aggressively gearing property investments to generate a loss that can be offset against other income. And with the decreases to the top tax rate to match the trust rate, the incentive to use trusts as a means to shelter one’s income from the top tax rate has been removed. There will now be no incentive to create complex structures to divert income to a trust and enjoy the trust’s lower tax rate compared with the top individual rate. Thanks Fraser – I was hoping you’d do a commentary like this for us. Thanks for the breakdown in plain English (no puns intended). Much appreciated that you posted this quickly. Thanks Fraser – just what I needed a cut to the chase, easy to understand and no political guff. A round of applause for you doing it so fast! Appreciated the quick response in plain language. We will need to talk about LAQC implications at some stage. Appreciated the quich response. Will talk soon about LAQCs. Well done Fraser, I haven’t met you, have been dealing with Rebecca who we find to be soooo onto it.